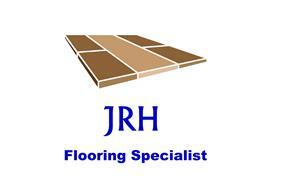 JRH Flooring Specialist - Carpets/Flooring based in Twyford, Buckinghamshire. Hi, I'm James and I have been supplying and laying all types of flooring (domestic & Commercial) for my customers for over 20 years. We are based in Twyford Buckinghamshire and cover all of Buckinghamshire, Oxfordshire and Northamptonshire. We can supply and fit all types of vinyls, LVTs, carpets. woods and laminates. We also offer a fit only service and will be happy to install products you have purchased yourself. The options are limitless and I will be happy to visit you at your home to discuss options and provide you with a free non obligation quote. Which is based on methods of drying a property following a flood or an escape of water. Knowing how to damp test properly and what method to use, to get an understanding of what products are best to use.